Cotuit is among the smallest of the seven Barnstable villages, covering about 5 square miles. 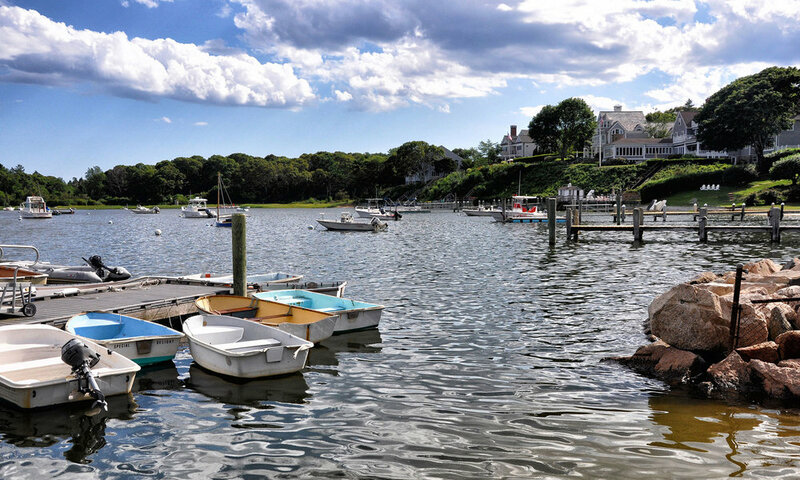 The major part of the village is surrounded on three sides by water: Popponesset Bay, Cotuit Bay and Santuit River. The village is characterized by its rustic charm and a laid back atmosphere. Sampsons island (accessible by boat or Kayak) is a wildlife sanctuary. Most of the district is residential, heavily populated by homes of significant historic and architectural importance. The Village also includes: Cotuit Library and Memorial Park, Bruce Hall of The Cotuit Federated Church, Freedom Hall, Mariners Hall, and the Historical Society/Samuel Doddridge House, and Lowell Park, home of the Cotuit Kettleers. A small post office, a nine-hole golf course, quaint village grocery store, an oyster company (world-famous Cotuit oysters), a local bar and restaurant and a handful of other small businesses adds to Cotuit's charm. The Santuit district, the original village center, runs along Route 28 and is an eclectic mix of family owned and occupied businesses, along with the jewels of the area, the Cahoon Art Museum and the Cotuit Center for the Arts.